For developers: Send emails to your remote scripts over HTTP POST using custom @yourdomain.com addresses. Create unlimited @yourdomain.com addresses (manually, or via the API). Find out more and get sample code here. 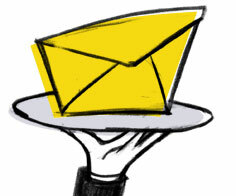 MailNuggets offers a white-glove service for customers who need integration help. This provides custom email parsing and implementation help. For example, customers may need help POSTing email leads to their favorite CRM software. Email for a quote.